Once you reach the $1,000+ level, you start to see a lot more features and capabilities that you don’t typically find on treadmills under $1,000. Here you will find stronger motors, more incline capability, better cushioning and increased workout selection. Any of these best treadmills in the $1,000 to $1,500 range will be a good choice for your home gym. What can you expect from the best treadmills under $1500? The sweet spot as far as treadmills are concerned is right around $1,500. 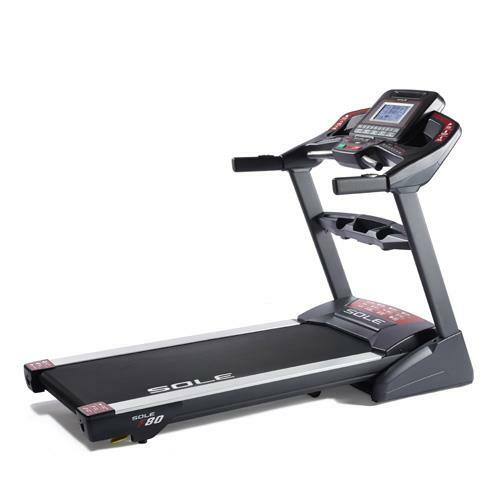 Once you approach that price level, you start to see the most well rounded treadmills, those that have everything you need for a solid workout, as well as extra features you just don’t find on lower priced models. 1. 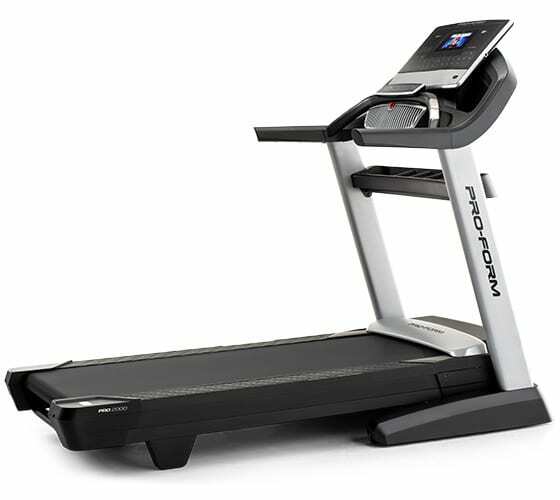 The Motor – All of the best treadmills in the $1000-$1500 price bracket will have at least a 3.0-3.5 CHP motor, which can easily handle even the hardest runs at top speeds. Anything less and the machine could experience mechanical issues down the road. 2. Incline Capability – On the best treadmills under $1500 you’ll usually find incline capability in the 12-15% range, and you should be able to change the elevation at the touch of a button, rather than manually on some of the less expensive treadmills. 3. Deck Size/Cushioning – You should expect a generously sized deck on these treadmills, about 20″ wide and 60″ long, which will give you plenty of room to stretch out, especially during full speed runs. Also, the deck should be well cushioned, and some models will even offer adjustable cushioning so you can choose the amount of support. 4. Workout Programs – The best treadmills over $1000 will definitely come with a nice amount of workout programs to choose from. You should expect at least 10, and they should be diverse, i.e. hills, intervals, heart rate, distance, calories, etc. That way you can change things up from one workout to the next. 5. Warranty – The warranty speaks volumes about the quality of the machine. At this price level you should get lifetime coverage on both the frame and the motor, 1-2 years on the parts and electronics and at least a year on labor. This way you know you are covered for any issues that may arise, which will give you peace of mind. The added features will be different from one machine to the next, but you’ll find that some machines have touch screen displays, music/speaker systems, workout tracking/sharing capability, wireless heart rate monitoring and even decline training. Which best treadmill under $1500 should you choose? There are a lot more options to choose from in the $1000-$2000 range than there are in the sub $1000 and over $2000 categories, as this is the most popular price point. As such it is a little more difficult to narrow down your choices. Our expert panel has chosen what we believe to be the very best choices for you, but ultimately your decision should come down to the treadmill that ticks all or at least most of the boxes for you. The industry leaders in this price range are NordicTrack, Sole, Horizon and ProForm. All are well regarded companies with good options at every level. The treadmills above are all advanced machines in their respective series, with plenty of great features and capabilities. 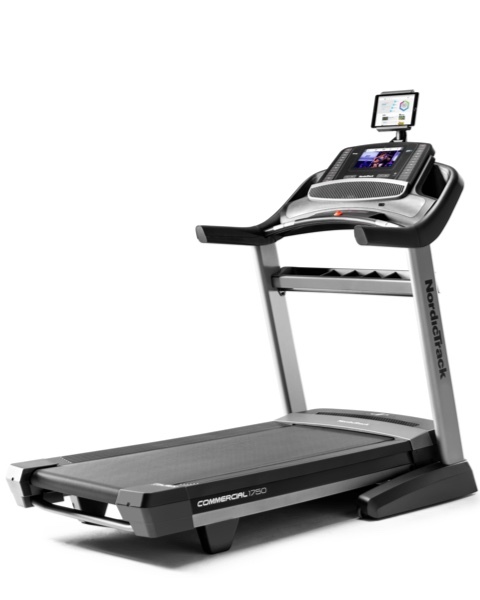 The NordicTrack Commercial 1750 is one of the most popular treadmills on the market today, and a perennial top overall pick for home use. The reason why is simple…it has absolutely everything you could want in a home treadmill and more…tons of workouts, incline as well as decline, touch screen display with iFit Coach training, advanced cushioning, large deck, workout tracking…the list goes on and on. Definitely give this one a close look. The Sole F80 is another great choice, and another top overall pick for the home gym. Here you get rock solid construction combined with some of the best impact-reducing cushioning on the market, along with incline capability, wireless heart rate monitoring and a strong warranty. it doesn’t have the bells and whistles that the 1750 has, but it makes up for it in performance and quality. The Horizon Elite T7 is another good choice, sort of a combination of the NordicTrack and the Sole. You get the extra features of the 1750 and the quality construction of the F80, with an impressive 40+ workout programs, tracking capability, maintenance free deck, HD fitness videos and variable cushioning to reduce impact. All three of these best treadmills in the $1000-$1500 range are great choices for your home, so you really can’t go wrong. Keep in mind that the price on these machines varies…sometimes it is under $1500 and sometimes it is slightly over. But even if they were several hundred dollars more expensive, they would still be great choices given all of the features that they offer. You can read through our reviews to learn more about each model to give yourself a clearer picture of what each has to offer. If you’re more into the bells and whistles, go with the NordicTrack…if you are more into the workout and the quality of the machine, go with the Sole…if you are somewhere in between, go with Horizon.